This 2/3 seater sit on top fishing kayak is packed with specialist fishing features for holding rods and other accessories making it perfect for kayak fishing. We now ship to France, Spain, Portugal and Germany! Simply enter the address in your cart to see the cost. 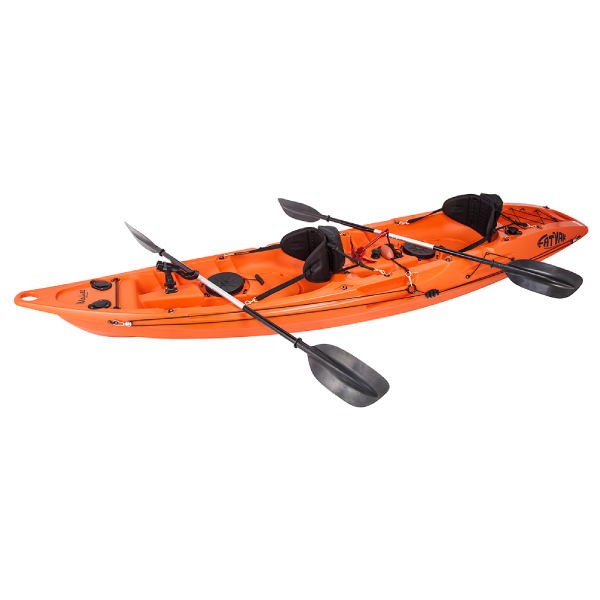 What is the Mahee Tandem Fishing Kayak? The Mahee sit on top tandem fishing kayak is a fantastic versatile and robust multi-seater boat. 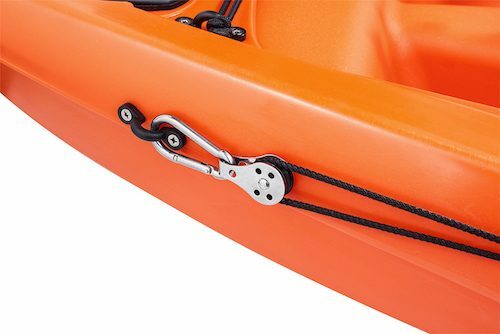 It is designed to be used as a tandem kayak with the lighter paddler sitting in the front, however due to its flexible seating design it can be paddled solo too by sitting in the centre position. 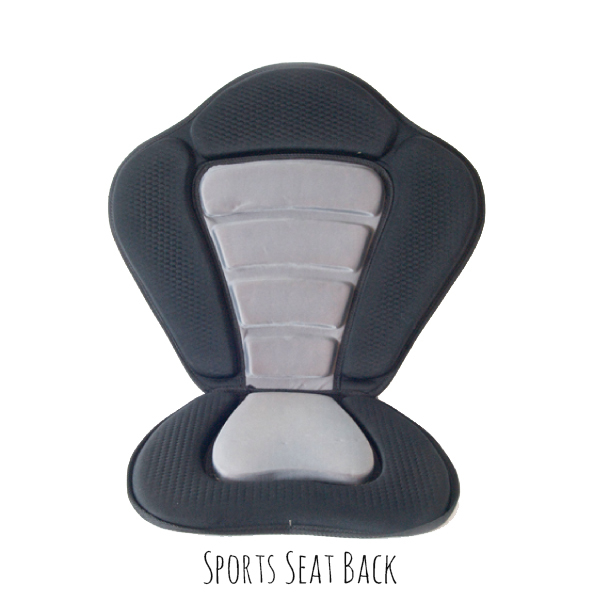 Furthermore it can be paddled as a family 3 seater with room for a child in the centre position. Fishing from the Mahee is very popular due to its inbuilt features with the angling community in mind. It can be used on the ocean in swell, as well as for coarse fishing inland on lakes and rivers. As standard, the 2/3 seater Fatyak Mahee comes generously kitted out, including 2 dry storage hatches, quality deck loops, drain plug, 2 paddle parks, staggered foot wells, a storage tray and bungy covered rear storage section. 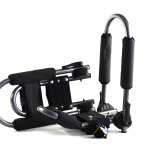 The fishfinder mounts and 4 rod holder mounts are really useful additions for the more serious angler. 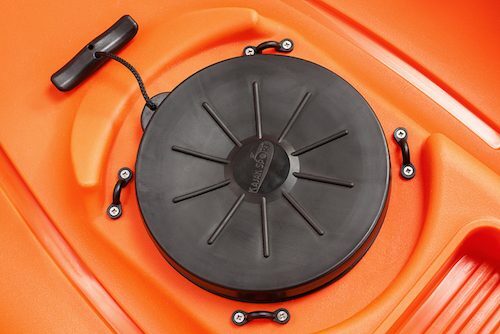 This compares with the Fishing Specific Kaafu Single Kayak which only has 2 rod holder mounts in total. 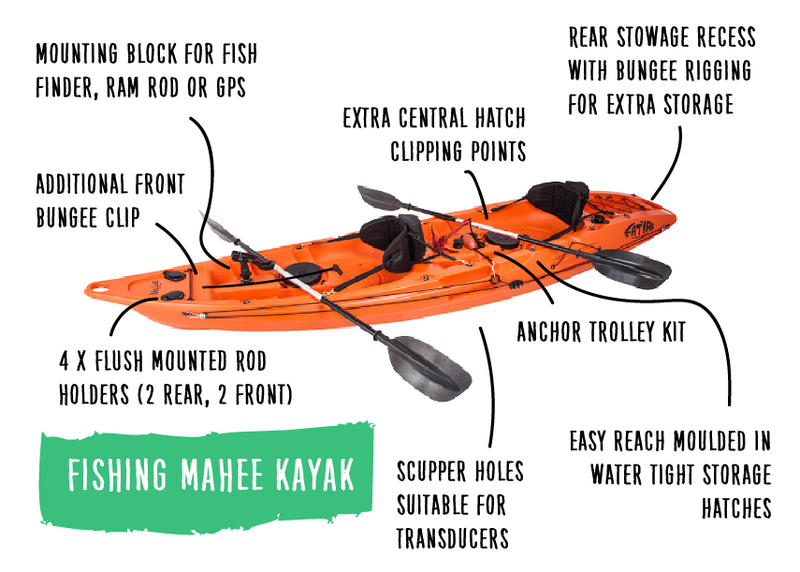 Why choose the Mahee Fishing Specific Kayak? The Fatyak™ Mahee kayak is a versatile tandem fishing kayak ensuring the perfect balance between stability and manoeuvrability. 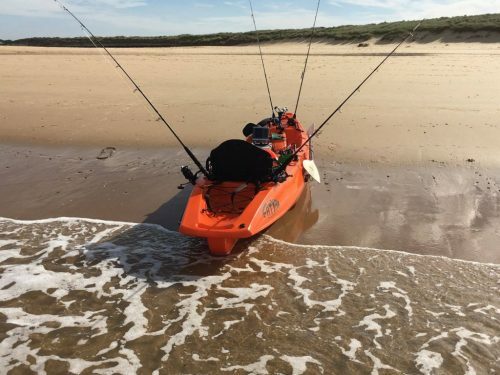 The Mahee Kayak is an obvious choice for either family or friends wanting to share the fishing experience together, or alternatively just a single person requiring more space for their catch! 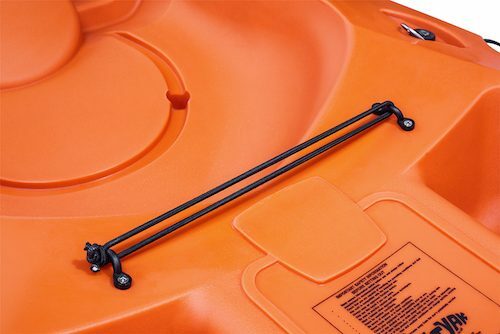 The Mahee Tandem Fishing kayak is safer than closed top kayak, because kayakers are not trapped inside in the event of a capsize. 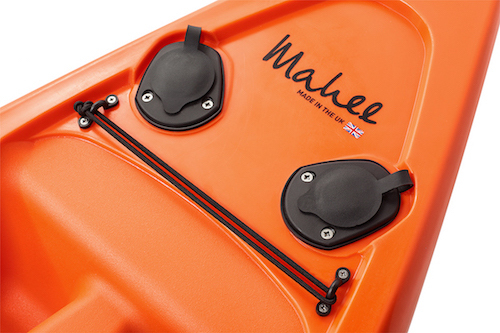 Like all of our kayaks, the Mahee is made in the UK to the highest standards using rotation moulding. Furthermore, we take our quality control very seriously at Fatyak and we will always strive to attend to any problem immediately. 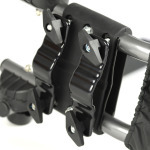 With the code LEGSTRAPDEAL entered at checkout you can add a pair of legstraps for only £25 with the purchase of any kayak! 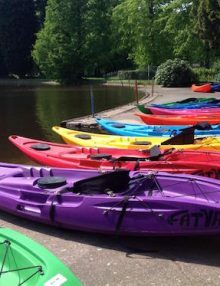 The Fatyak kayak is a one piece rotationally moulded kayak, no seams no joints and is manufactured using high grade high density UV stabilised polyethylene. It has moulded in padeye fixings giving unsurpassed leak protection. All Fatyak kayaks are manufactured in accordance to BS7852 in Somerset England. Broken or lost a part of your kayak? We have a full range of spare parts. Just head to our "spares" category in products. 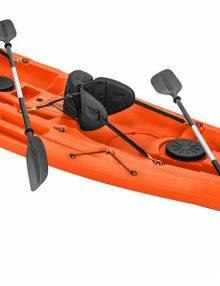 Kingspan Environmental Ltd warrants to the original owner of the Fatyak Kayak that any part of the boat that is defective in material of workmanship will be repaired without charge at Slade Way, Roughmoor Industrial Estate, Wiliton, Somerset, TA4 4TB. This warranty shall apply for a period of 1 year on the deck, hull and parts from the date of retail sale. Any warranties from suppliers of parts supersede the Kingspan Environmental warranty. This warranty covers use under the normal conditions and does not cover damage caused by accident, alterations or misuse. Freight to and from the manufacturing plant is at the owner’s expense. The serial number is located on the moulded-in safety transfer. In the event of a warranty claim we can trace back through our manufacturing process with the unique serial number. 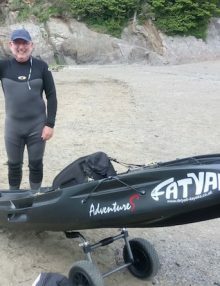 In order to be covered by this warranty customers must register their product serial number(s) via this link https://fatyak-kayaks.co.uk/fatyak-warranty-registration/. 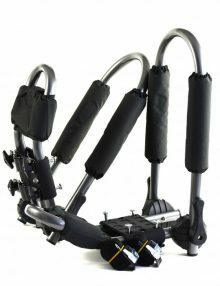 Unique folding J Cradle made from alloy tube. Clamps to your existing roof bars. 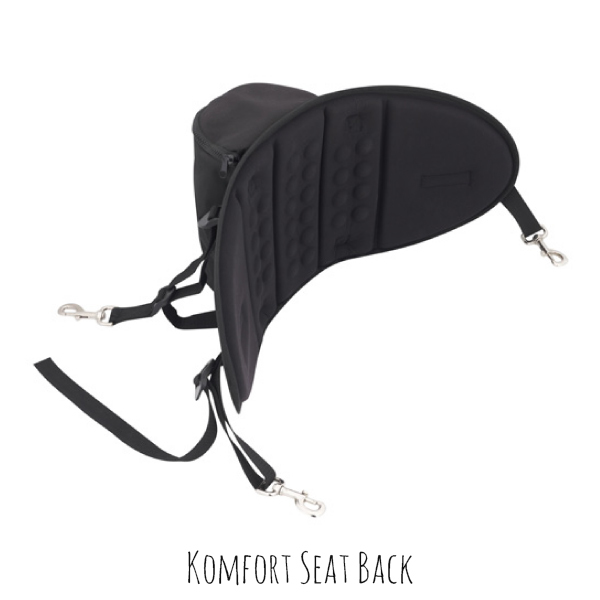 Padded to protect you kayak or Sit on top. 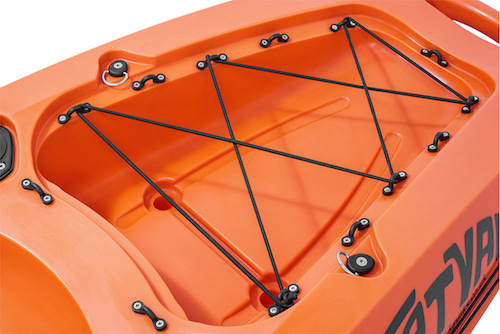 Large cradle accommodates wider range of kayaks and Sit on Tops. 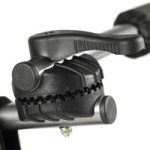 Twin locking levers with varying angles of adjustment. Finished in black chrome powder coating. 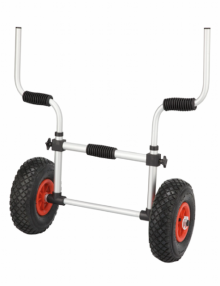 Easy to use kayak trolley that folds for easy storage. Complete with 270mm pneumatic tyres, anodised frame with s/s fixings and welded bottom joints. 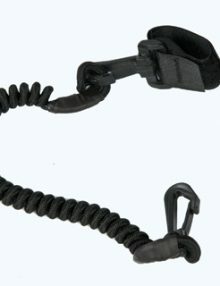 1.5 metre coiled styled leash allowing for unrestricted movement. 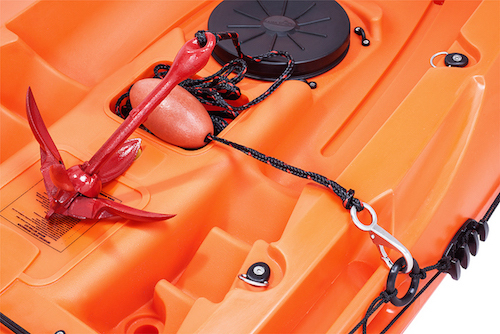 Can be used for paddles, rods, nets and items that need to be secured while in the boat. Velcro to paddle, plastic clip to boat. Presented in a blister pack. 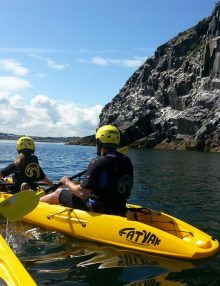 Our regular sit on top tandem kayak – perfect for families and friends wanting to go paddling together! You might also be interested in the Mahee Fishing Specific model or the Mahee Adventure S model. Great for larger or taller paddlers too. The Mahee is a lightweight double kayak. 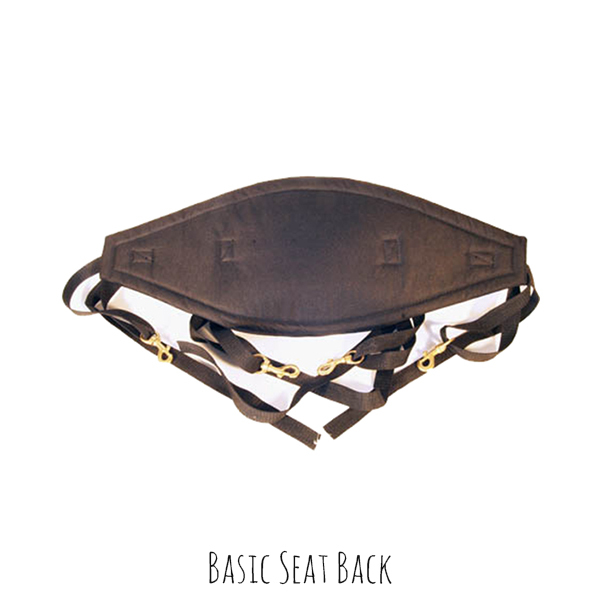 It is lighter than the ‘regular’ 2/3 seater sit on top Mahee at 26kg and made of a more durable material. 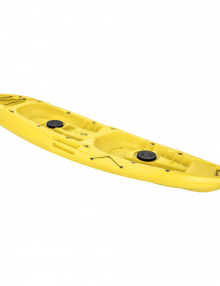 The Mahee Adventure S is perfect for a more serious paddler or for anyone who used their kayak on a regular basis. 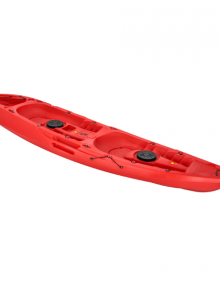 It can also accommodate a third paddler in the central area, as well as being able to be paddled solo. 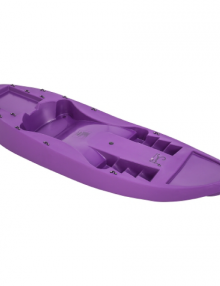 The Kaafu single seater sit on top kayak is one of our most popular kayaks due to it’s versatility and value for money. If you will get a lot of use out of your kayak, you might want to consider the Kaafu’s big brother, the Adventure S Kaafu. The Kaafu also comes in a fishing specific option, kitted out with all the gear for keen anglers. Lightweight, manoeuvrable and fun! 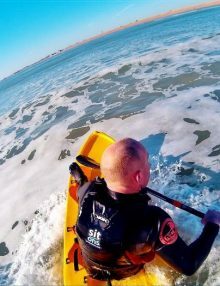 The surf kayak is perfect for coastal kayakers and beginners who want to mess around in the waves. 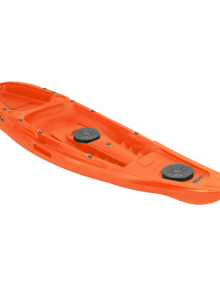 It is a great kids kayak due to it’s small size. Please note that the kayak does not come with legstraps, seat back or paddles. Choose your accessories here.